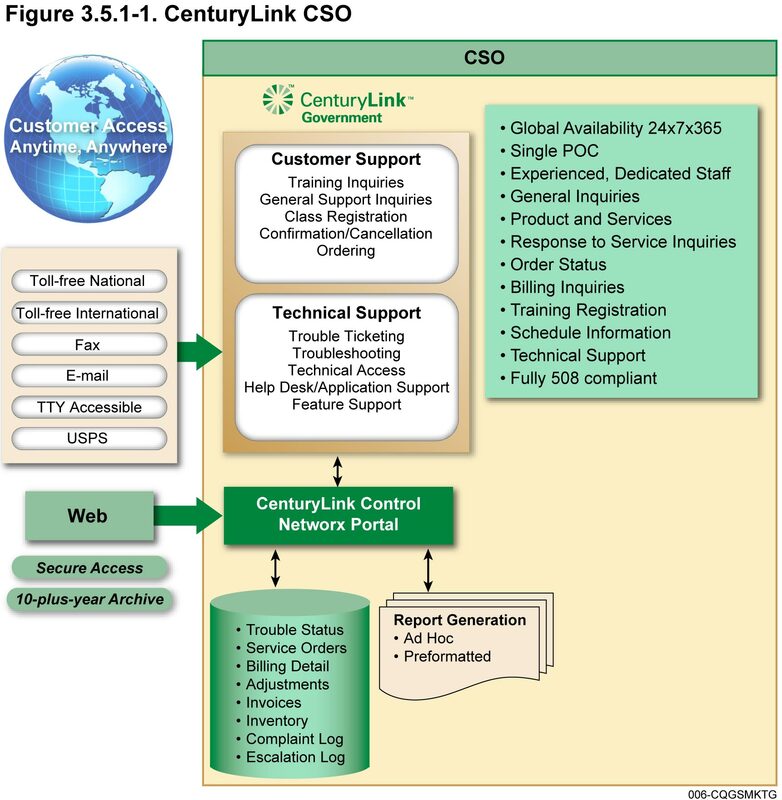 At CenturyLink, we understand that the General Services Administration requires sound, effective program management, superior technical support and professional operational capabilities. That's why we established a customer-focused support model, including policies, processes and highly effective tools designed to meet or exceed your agency's stringent requirements. The illustration above provides an overview of our how our Customer Support Office provides a single point of contact for all your Networx-related inquiries. Customer support representatives are available 24 hours a day, seven days a week by phone, e-mail, fax and USPS. We support GSA Networx PMO and subscribing agencies, including GSA Regions and international activities. Our geographically diverse back-up operations provide customer service continuity during emergencies. Additionally, all CSO functions are available through the Control Center Networx Portal — around-the-clock from anywhere in the world.